"Fun for budding young truck drivers and truck enthusiasts but it´s a limited amount of fun." 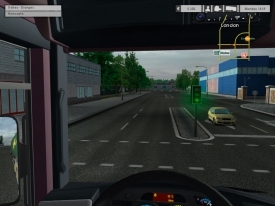 Euro Truck Simulator is fun, if you have ever been curious to spend a day in the life of a long distance lorry driver well now is your chance. 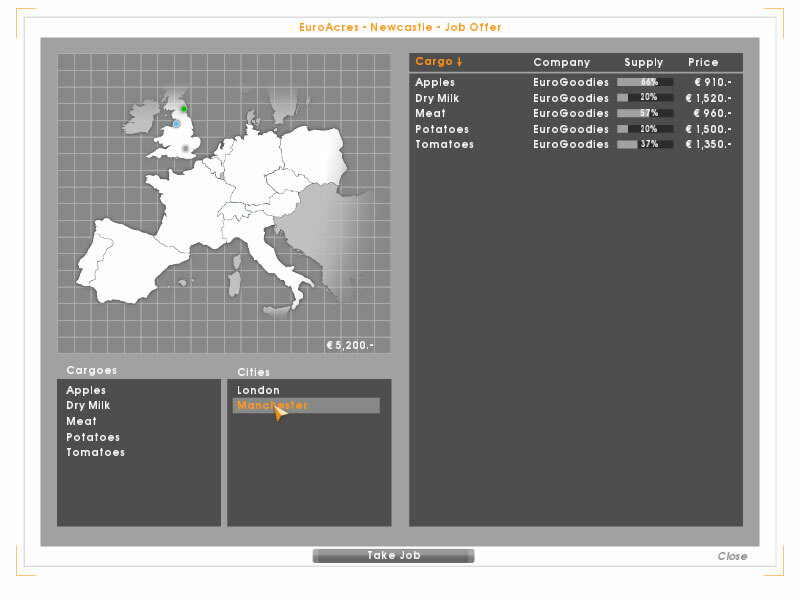 It´s very easy to jump straight in, the tutorial pops up and helps you out within a few seconds you can have bought your truck, picked up your first job and have a trailer attached to the back of your cab and be on the way to your first long distance destination. The truck on occasion can be a little difficult to control especially if you are used to more conventional driving games, but that only adds to the realism, the graphics in Euro Truck Simulator are nice, not mind blowing but they are pretty enough. In regards to game play it is enjoyable but it could become tedious after a little while as you are basically repeating the same job over and over again. Sadly the free demo times out after an hour and I did not have an opportunity to drive outside of the UK and would have loved to have seen the scenery in some other European countries. Some of the smaller details are very nice like being able to turn the windscreen wipers and hazard lights on and off. Euro Truck Simulator is fun for a short time and I´m sure the truck and lorry enthusiasts would be enthralled by this but as it is just truck driving, there does seem to be no element of mini games and the lack of speed the trucks produce makes me positive this game would not appeal so much to the adrenaline gamers. Is it worth paying the relatively low price for the full game? If you harbor ambitions of being a truck driver in the future or are a truck enthusiast then I would recommend this game, but it is a rather select group of people.